 2014 Volkswagen Passat TDI SE 4D Sedan **ONE OWNER**, ***CLEAN CARFAX***, **NAV**, **LEATHER**, **MOONROOF**, BLUETOOTH, ALL BOOKS AND KEYS, **Back-Up Camera**, **PUSH BUTTON START**, Passat TDI SE, 2.0L TDI Diesel Turbocharged, 6-Speed Manual, FWD, Opera Red Metallic, 4-Wheel Disc Brakes, 8 Speakers, ABS brakes, Alloy wheels, AM/FM radio: SiriusXM, CD player, Compass, Electronic Stability Control, Exterior Parking Camera Rear, Front Bucket Seats, Fully automatic headlights, Heated door mirrors, Heated front seats, Leather Shift Knob, Leather steering wheel, MP3 decoder, Outside temperature display, Power driver seat, Split folding rear seat, Steering wheel mounted audio controls, Telescoping steering wheel, Traction control. Located in Sioux Falls SD, and serving Mitchell, Yankton, and Brookings, Dell Rapids, Lennox, and surrounding areas. Hello, I would like more information about the 2014 Volkswagen Passat, stock# 8697. Hello, I would like to see more pictures of the 2014 Volkswagen Passat, stock# 8697.